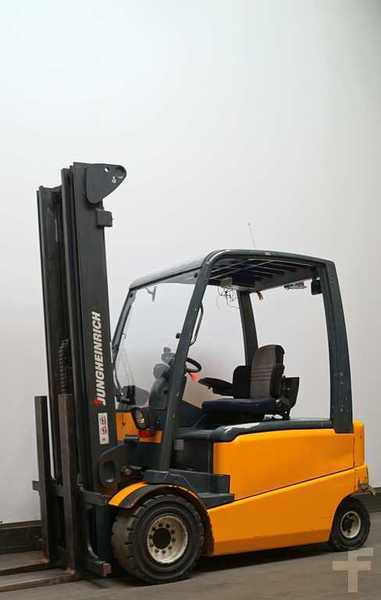 Used 4-wheel front forklift Jungheinrich EFG430 - Forklifthouse B.V. Check the technical data of the unit, picked out from the catalog of JUNGHEINRICH EFG 4-wheel front forklift. The lift height is 6000.